Planning a wedding can be daunting to say the least. 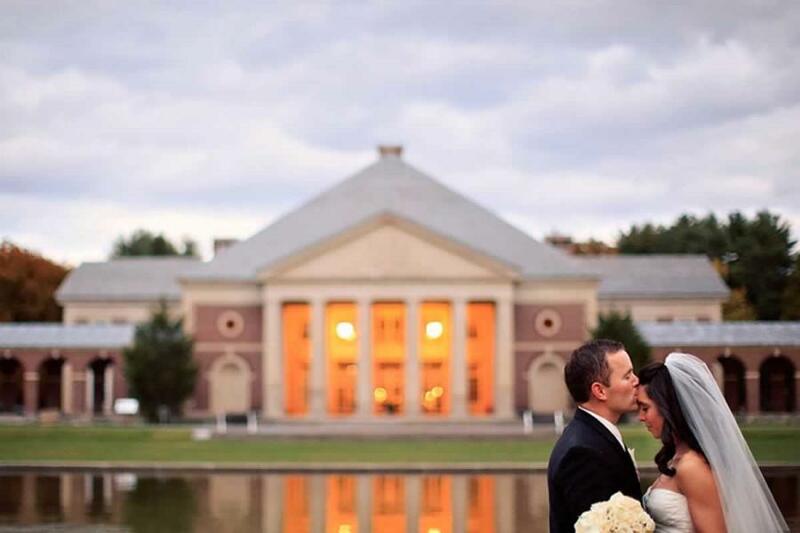 That&apos;s why Saratoga wedding professionals are ready to help couples plan from the early stages to the day of the event. Sometimes a little direction is all you need to get ideas flowing. 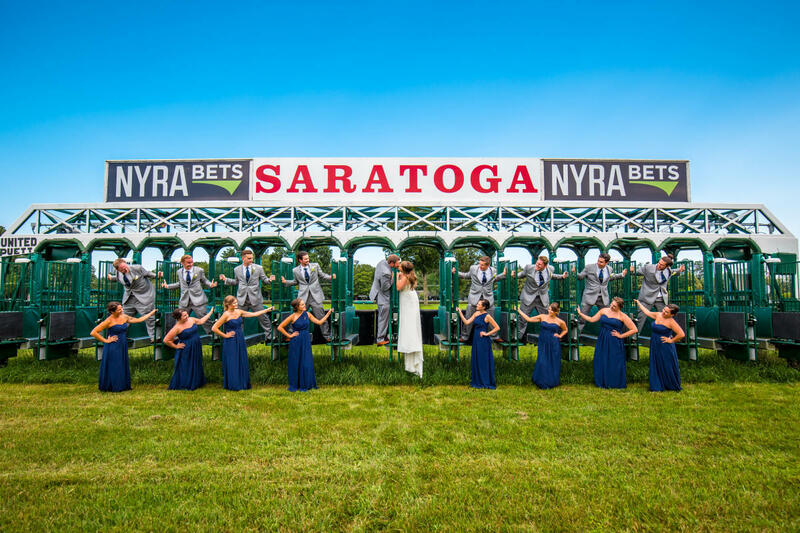 If you know Saratoga, NY is your dream wedding destination, check out these fun planning tips and ideas! 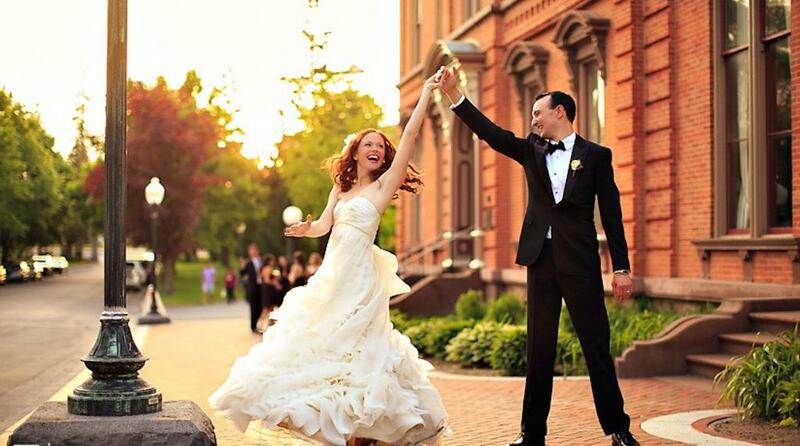 Saratoga has so many options for every couple from gorgeous and newly renovated hotel event spaces, quaint inns, unique museums, charming farms and grand ballrooms. 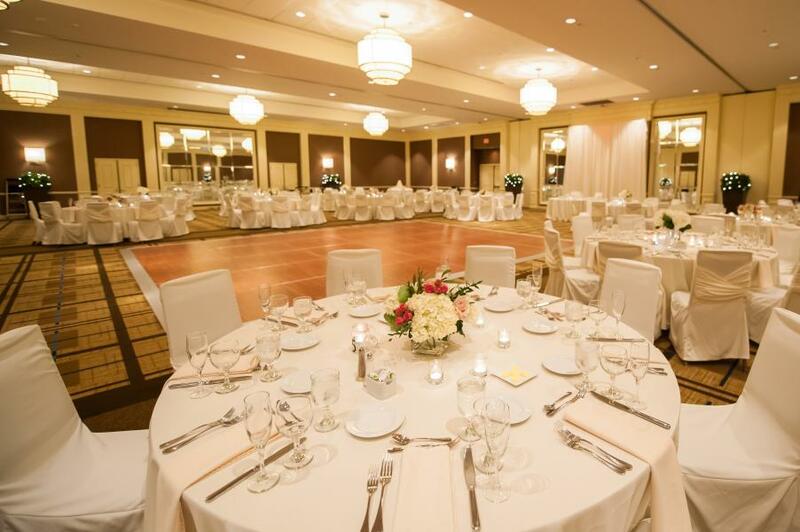 Don’t forget to consider these inns for wedding day getting ready, night of the wedding accommodations or smaller intimate events. 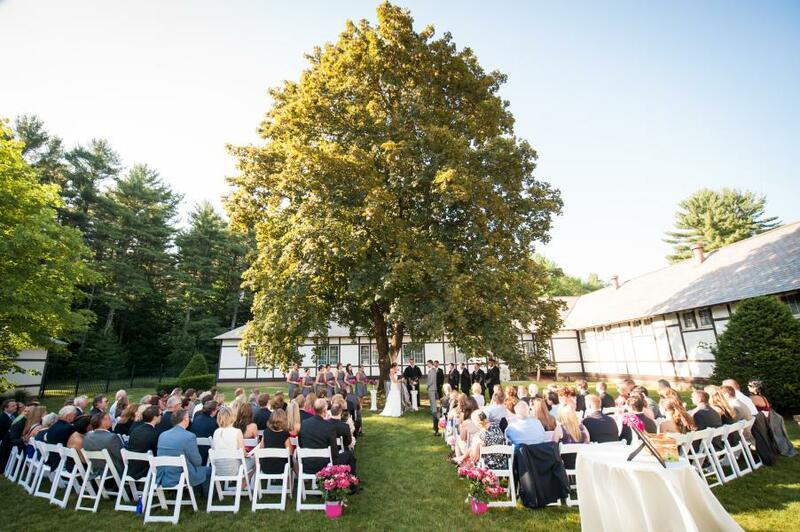 Saratoga also has some great outdoor park options if you wanted to have your ceremony separate from your reception. As you know, one of Saratoga Springs’ main attractions is the racetrack. So be sure to consider this when planning your wedding weekend. Track season can affect accommodation rates and minimum night stays, transportation and availability for other event spaces for your weekend celebration (rehearsal dinner and brunch). Don’t let this discourage you from booking your wedding during track season (end of July through Labor Day)! Saratoga is gorgeous during the summer and can make for a perfect destination getaway for your guests. You can have fun by adding touches of the racetrack throughout your wedding weekend. 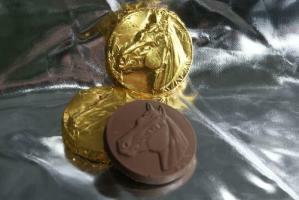 Host an ancillary “racetrack event” for your guests the day before or after your wedding. 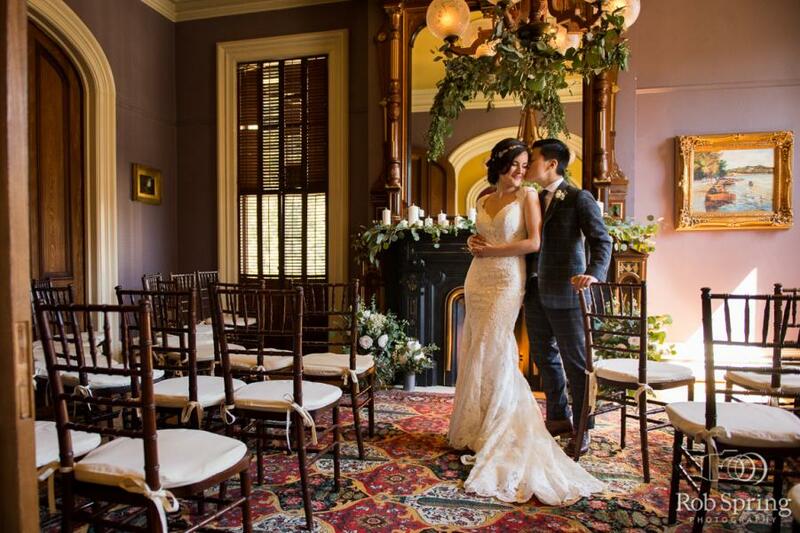 We have even celebrated a wedding at the Historic Canfield Casino on the same day as the famous ‘Travers Race.’ Our #kowecouple aired the race live on TV’s during their cocktail hour! Remember it helps to book early and have some extra help from a wedding planner to make sure all the details are covered. 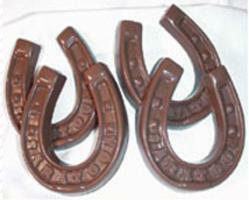 Saratoga Candy Co for chocolate horseshoes, medallions, spring water taffy and much more! 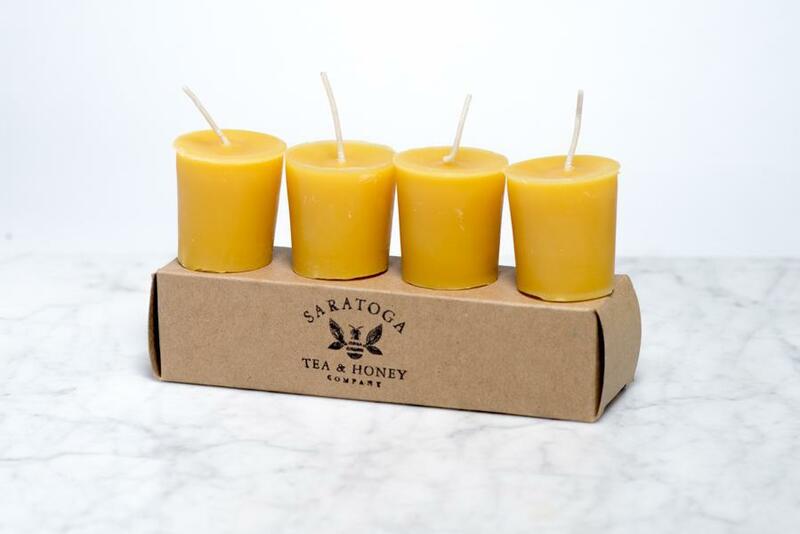 Saratoga Tea and Honey has a variety of one-of-a-kind items such as Bee Hive Bee’s Wax candles, 3oz mini honey jars, local honey candy or 1 oz brown paper bag tea (they even have a wedding blend)! 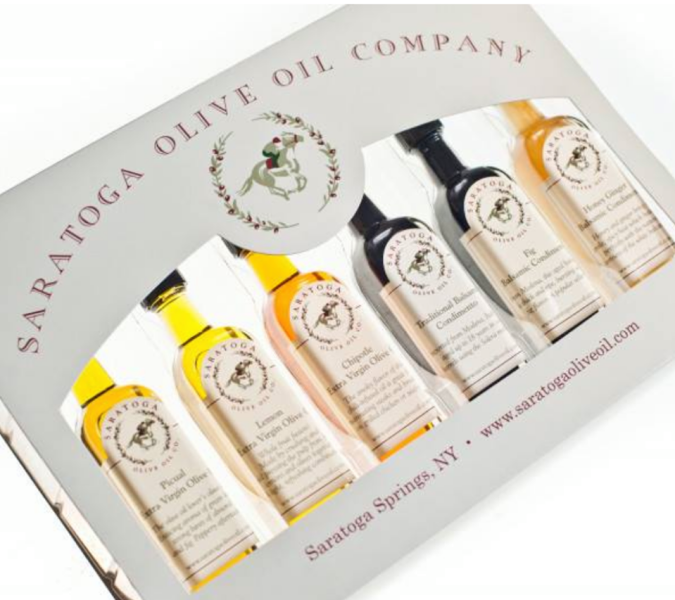 Saratoga Olive Oil sets make for a great wedding favor! 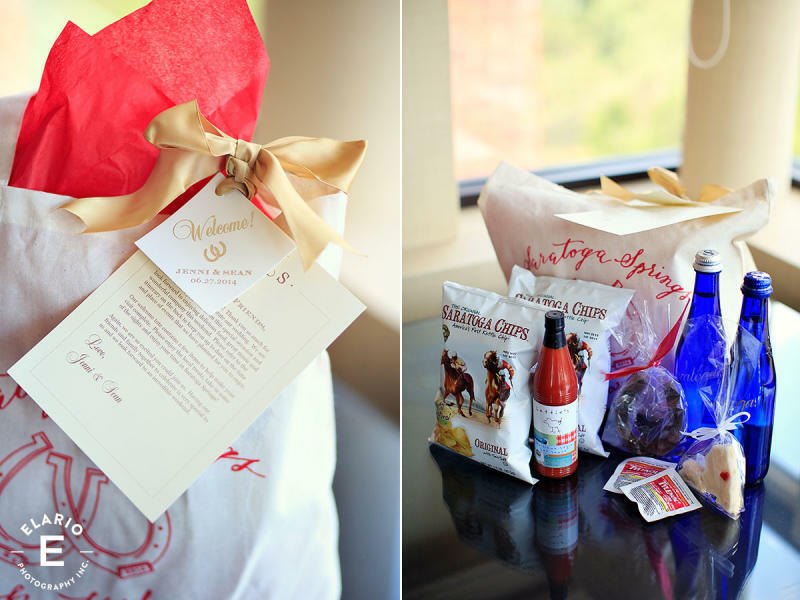 Because every great welcome bag needs a little salty crunch too! 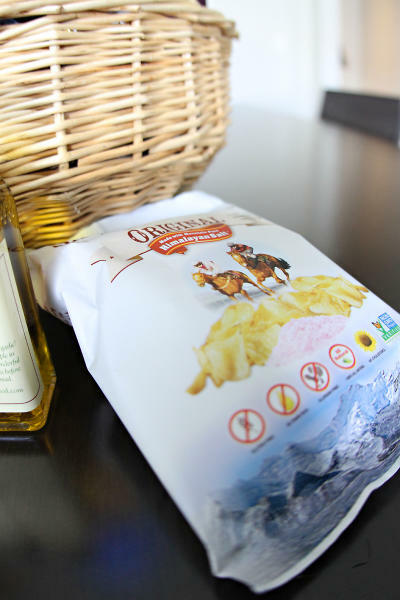 Saratoga Chips come in so many delicious flavors from the original, to Honey BBQ, Rosemary Garlic and Thai Sweet Chili. Tip: each bag could get two different flavors – one of each couple’s favorite flavor. 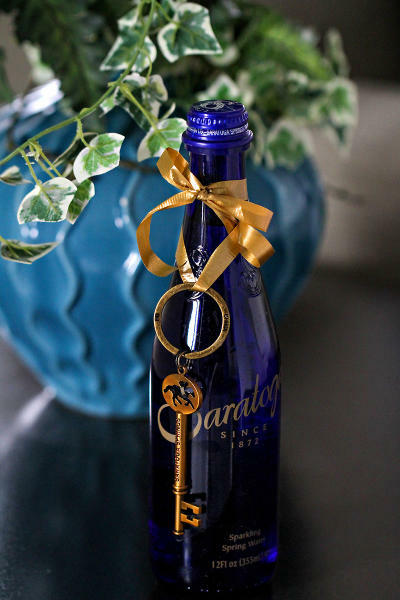 The iconic glass blue bottle of Saratoga Water is a staple. Comes in both sparkling and flat water depending on your preference. Tip: If you’re worried about these breaking if your welcome bags, wrap them in tissue paper and lay them down in the bag. Still worried? Saratoga Water also comes in plastic! Love Saratoga as much as we do? Sign up for our Discover Saratoga newsletter for all latest events and things to do in Saratoga, NY. Header photo by Elario Photography, Inc.
Katie O' has been planning and coordinating weddings for over 12 years with a passion & expertise for Saratoga Springs celebrations! 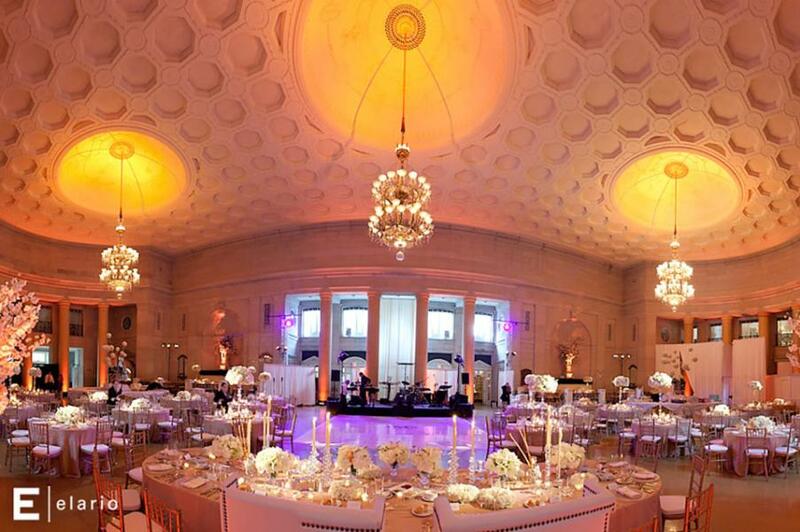 Her knowledge of the area, venues and relationships with vendors helps make your planning seamless and fun. 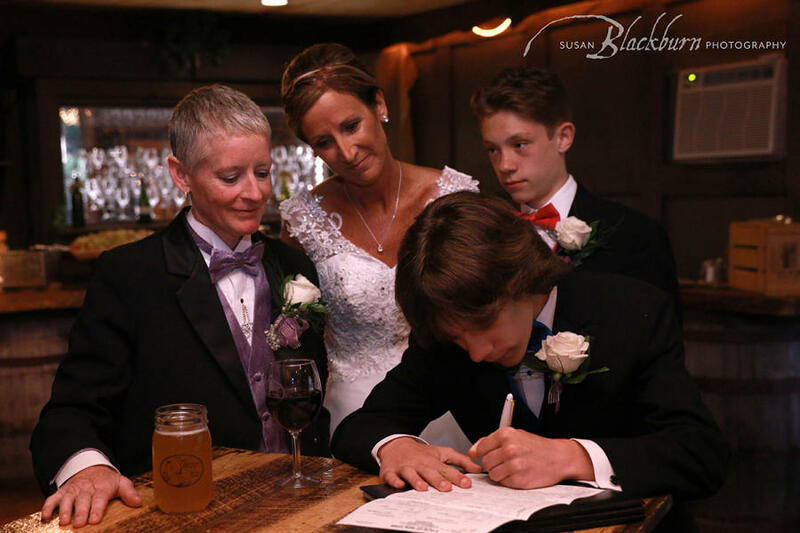 Whether it be a wedding, bat or bar mitzvah, baby shower, bridal shower, retirement party, sweet sixteen party, or any other special occasion that life celebrates, she is here to help. Katie takes pride in how many clients are now friends and how fortunate she is to see families grow and change through her work. Most people seek out event planners for major milestones in life—it’s truly an honor to witness these special events and she looks forward to being a part of many, many more.